The year is 2022, and a pandemic threatens to wipe out the whole of the human race. For many in the United Kingdom - the epicenter of the outbreak - the end is nigh, so why bother to keep count? Within days of detection of the Reaper virus millions are infected in Scotland, the killer diseases home turf. Government has no choice but to declare the country a hot zone and quarantine the populace in hopes of containing the Reapers spread. What was once Scotland is now a forgotten No Mans Land, with the Reaper given free reign to annihilate the population sealed inside. A quarter of a century later, with a new outbreak of the Reaper resurfacing in London, it becomes apparent that the governments best laid plans have gone completely, bloody awry. Department of Domestic Security (DDS) Chief Bill Nelson is summoned to meet with the prime minister and the true power behind his office, Michael Canaris, who reveal satellite photos of Reaper survivors in the hot zone. And survivors must mean theres a cure. Nelson quickly assembles a crack team of specialists to venture into the forsaken land and retrieve the counteragent to the virus. For the tough and efficient commanding officer, Major Eden Sinclair, the assignment represents a disquieting homecoming. Twenty-five years earlier, she had been shoved into one of the last evacuating military choppers and flown to safety - forced to leave her mother behind. Once on the other side of the immediately re-secured border, the squadron is on its own, venturing into a ghoulish terrain of corpse-strewn, forlorn cities. All too soon, however, the crew meets up with a pack of feral survivors, and finds itself unwittingly standing in for the callous government that turned its back years before. Jake Tyler has recently moved to Orlando, Florida with his family to support his younger brother's shot AT a professional tennis career. Jake was a star athlete ON the football team AT home, but IN this new city he IS an outsider WITH a reputation FOR being a quick tempered brawler. Making an attempt TO fit IN, AT the invitation OF a flirtatious classmate, Baja, Jake goes TO a party WHERE he IS unwittingly pulled INTO a fight WITH a bully named Ryan McDonald. While he IS defeated AND humiliated IN the fight, a classmate introduces himself TO Jake AND tells him about the sport known AS Mixed Marshall Arts (MMA). He sees a star IN Jake AND asks that he meet WITH his mentor, Jean Roqua. It IS immediately apparent TO Jake that MMA IS NOT street fighting, but rather an art form he wants TO master. Roqua will take Jake under his wing, but it IS up TO Jake TO find the patience, discipline, willingness AND reason within him TO succeed. FOR Jake, there IS much MORE AT stake than mere victory. His decision will NOT just settle a score; it will define who he IS. 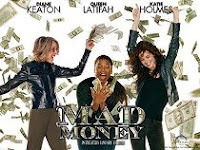 A comedy about a pregnant teenager is drawing critical acclaim and awards attention as its quirky charm wins over audiences at American movie theaters. 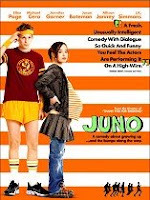 Alan Silverman has a look at Juno. Jack Nicholson and Morgan Freeman co-star in a wry comic adventure about life and death directed by Rob Reiner. 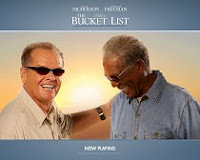 Alan Silverman has a look at The Bucket List.